Charming 2 bedroom 2 bath home conveniently located close to Atwater Elementary School. Let the arched, covered walkway lead you into this home that features a split floor plan with a 1.5 car garage located on an over-sized corner lot! This layout features a large living room and family room separated by the kitchen with a nice sized breakfast bar. The family room has a slider leading out to the large yard featuring mature landscaping and palm trees. The large lot also features a 12 x 18 steel canopy building wired with 220 and LED lights installed. The roof was recently replaced in 2017 with stain-proof Pinnacle architectural shingles. The kitchen features a R/O system under sink, a nice sized pantry and newer LED lighting. 2nd bathroom is conveniently located off the garage with a large step-in shower. Home is equipped with a surveillance cameras that stay with the property. 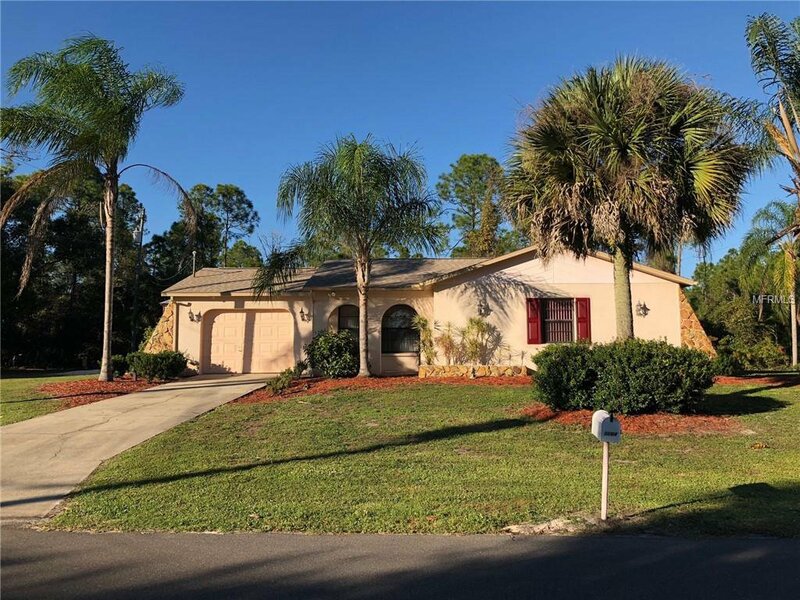 This is a quiet peaceful neighborhood located minutes from Pt Charlotte Mall, and the Tampa Bay Rays Spring Training Field. All measurements are estimates, buyer to verify. Listing courtesy of ANYTIME REALTY LLC. Selling Office: BERKSHIRE HATHAWAY HOMESERVICES FLORIDA REALTY.